The 2019 Volkswagen Jetta interior has undergone a significant redesign, giving Chicago and Orland Park drivers a new, handsome sedan. 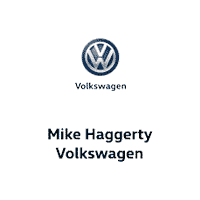 Outfitted with some of the latest in auto convenience and connectivity tech and featuring a spacious cabin, we think there’s a Jetta trim level for nearly any driver at Mike Haggerty Volkswagen. Volkswagen Digital Cockpit: Yp to four different drivers can set up instrumentation and information displays to their preferences, including navigation (when available). Car-Net® Security and Service: Starting on SEL models, this feature expands the reach of Car-Net® with parking location reminders, sunroof rain notifications, vehicle diagnostic reports, and more. BeatsAudio®: An available BeatsAudio® Premium sound system ensures your soundtrack is fit for so stylish a sedan with a 400-watt amplifier and nine speaker (including a trunk subwoofer). Discover the 2019 Volkswagen Jetta Interior Firsthand at Mike Haggerty Volkswagen! We can only list out the features and specs for so long — eventually you need to feel how comfortable the 2019 Volkswagen Jetta interior is firsthand. Discover a new VW Jetta for sale in Oak Lawn at Mike Haggerty Volkswagen. We can help you find the trim level and features that best fit your needs. Contact us to schedule a test drive and see why so many Orland Park and Countryside drivers choose a Jetta.